Our experience in the industry has led us to suggest that the controllers should be preset in the factory itself rather than the field. However, we can afford delays to an extent as ‘field settable’ to our new OEMs for the initial trials on their respective systems. These can be set at the specified value by the OEM, later on. We also fabricate, supply and export autocons which are suitable for gas burner control. 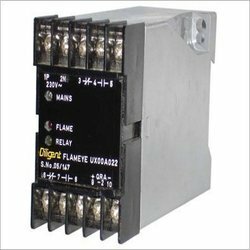 We offer a wide range of autocons for imported substitutes which is used across various industries for numerous applications. All these products are fabricated by using quality assured components and are quality tested on different parameters in order to make sure that high international standards are adhered to. Autocon substitute for Fireye controller type UVM-2, 26RJ8, etc. 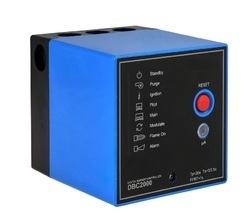 We deal in Automatic Oil Burner Controller. We offer autocon for oil burner control which is fabricated by using high grade components which in turn are sourced from a network of trusted vendors from across the nation. 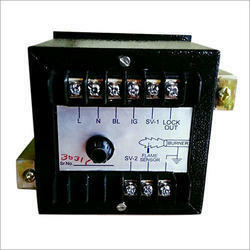 These autocons are fitted in a strong mild steel made or plastic made enclosure. Also, the products are provided with either screwable or pluggable connectors which help in connecting with rest of the burner. Apart from offering auto cons for Gas burner and Oil burner control, we also offer a unique range of auto cons for dual fuel burner control. This product can function for two different fuels at the same time without scaling down on the over all efficiency.